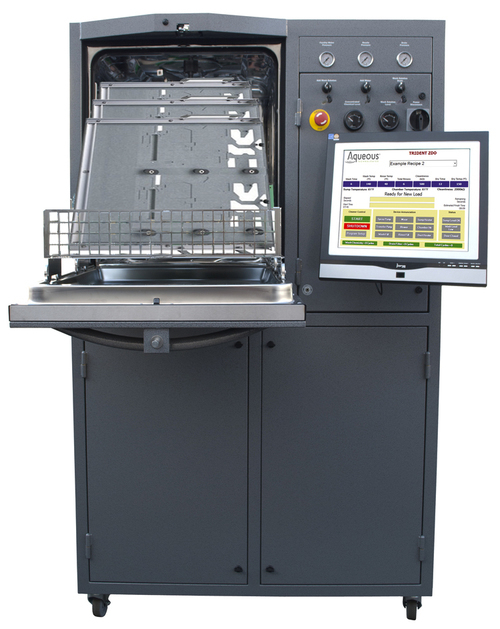 Trident removes all contamination and residues from post-reflow circuit assemblies. When assembly and flux residues are removed, so is the chance for electro-chemical migration (ECM) failures. Clean assemblies are more reliable assemblies. Trident is equipped with built-in process monitoring technology whereby desired resistivity levels may be programmed, producing consistency in assembly cleanliness levels. Final resistivity results are displayed on the operator interface and must be acknowledged before assemblies can be removed from Trident. Results are stored in the SPC management system and may be searched and retrieved anytime via the built-in SQL multi-query database. Trident is available in zero and low discharge configurations. Zero discharge Tridents (Trident CLO & ZDO) recycle and reuse all process fluids (wash solution and rinse water) and do not require separate recycling systems. Low discharge Tridents (Trident LDO) recycle wash solution and discharge only filtered rinse water. By choosing zero discharge models (Trident ZDO/CLO), the need for a discharge permit is eliminated as is any potential environmental liability. Equipped with an asymmetrical fan-jet spray system, Trident's twin stainless steel counter rotating spray bars feature twenty stainless steel fan-jet nozzles project precision-diffused wash solution and rinse water onto a shadow-mitigating oscillating board rack. This spray system was implemented to deliver controlled fluid energy underneath fine-pitch components. Trident, and all other Aqueous Technologies products, are designed and built in California. 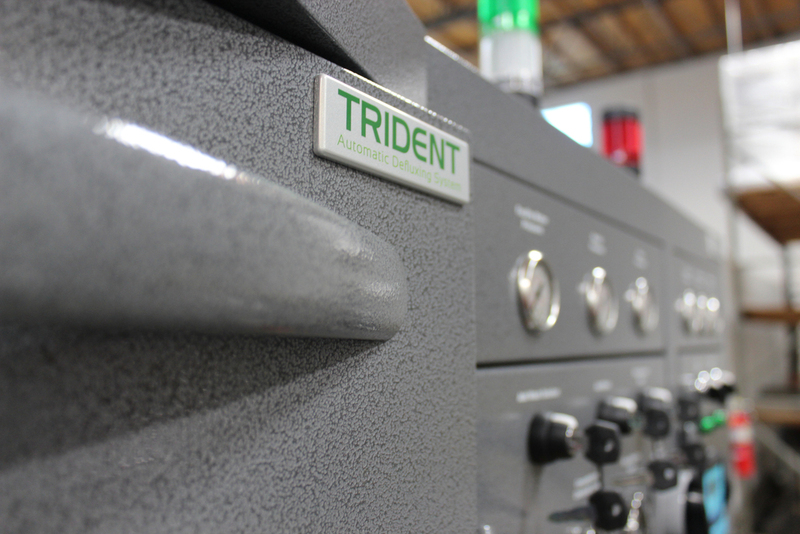 Trident's quality is a combination of our materials selection and our absolute dedication to build a product that is rugged yet beautiful, sophisticated yet simple, powerful yet quite, and fast yet small. Trident's rugged stainless steel plumbing, spray pump, solution tanks, and spray distribution systems allow Trident to operate with the widest selection of cleaning chemical additives at temperatures required for thorough cleaning. Our equipment designs are inspired by California's 840 miles of coastline which remind us of the power of water and the importance to protect our environment.